Teaming Up in The North of Malta! Joe Vassallo and Louise Vassallo Chetcuti are truly a formidable pair. With a strong sisterly-brotherly bond, they’ve not only grown as insatiable partners in crime, but now also as business partners. Prior to opening their own Quicklets branch in Qawra, Joe had worked his way up the ladder of catering business and Louise had made herself a star in the parental business, after fulfilling the role of a full-time mother for eight years. Now, it was time to take the plunge, together! Q – Joe, why real estate, why now? A – Coming from a catering background, I’ve gotten used to meeting a lot of people on a daily basis. Whether its servicing customers, training staff, signing business contracts – when you’re not speaking to someone, you’re glued to your phone. And I love it. Real estate is a lot like that, except you’re speaking to developers, property owners, property seekers, notaries and the lot. The same client-satisfaction is there, it’s just another industry, and it’s doing superbly great at the moment. I needed something new and exciting. 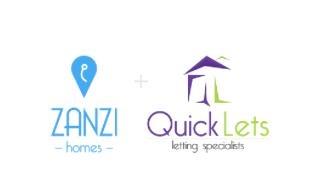 We’ll soon have our sales team in place and will be wearing the Zanzi Homes badge, alongside the Quicklets one. Q – Louise, this is new for you. Have you found your place? A – Totally! After Joe approached me with the idea of going into real estate, I was interested – but it was truly our meeting with Steve Mercieca that sealed the deal. Now, I’m enjoying every step of it. I feel part of the brand and getting the grips of the industry. It’s fascinating and challenging, and there’s so much to gain from it. I’ve definitely found my place here, especially within Quicklets. We’re a motivated team with diverse individuals, all geared up to give a professional service. Q – Why open in Qawra? Louise – Well, this expands the company’s reach to further accommodate clients. As the Quicklets brand grows, we also need to diversify the areas we provide a service in. Furthermore, the north of Malta has plenty of opportunities to offer. It’s buzzing with life and together with the rest of the island, offers good employment, high education and a great island life with superb weather all year round. For buy-to-let investors and developers it’s also very attractive, as the north has seen a large number of foreigners looking to take up residency in Malta and is highly popular with tourists and students. Having English as our second language is also a big plus, as it boosts the diversity of reasons to come to Malta, be it for a holiday, for professional reasons or in order to study. Q – So it seems the north is quite a good place to invest? Joe – Definitely. It has seen a year-on-year increase with tourist arrivals and students. It is the right time to invest in property to rent here. What Louise has mentioned highlights what Malta has to offer, and it has certainly provided unlimited opportunities of short and long- let rentals. With the right rental investment in these areas, you can expect to receive anything between 5% to 6% and even more in some cases. But it is important to make the right calculations before making any final decision on acquiring a property. We confidently suggest in buying to rent in the north as a good investment, as long as you are guided by the right specialist in the property market. And for this, of course, we’re here to help! So, congruently to our launch of the sales team, I invite anyone interested in purchasing or renting a property in the northern areas of Malta to give us a call, or to drop by our office. We’ll offer genuine advice and suggest options for interested clients. If you’re a property seeker or a developer, we’re happy to a receive a call from you! Address: 496, Quicklets, Triq it – Touristi, Qawra.